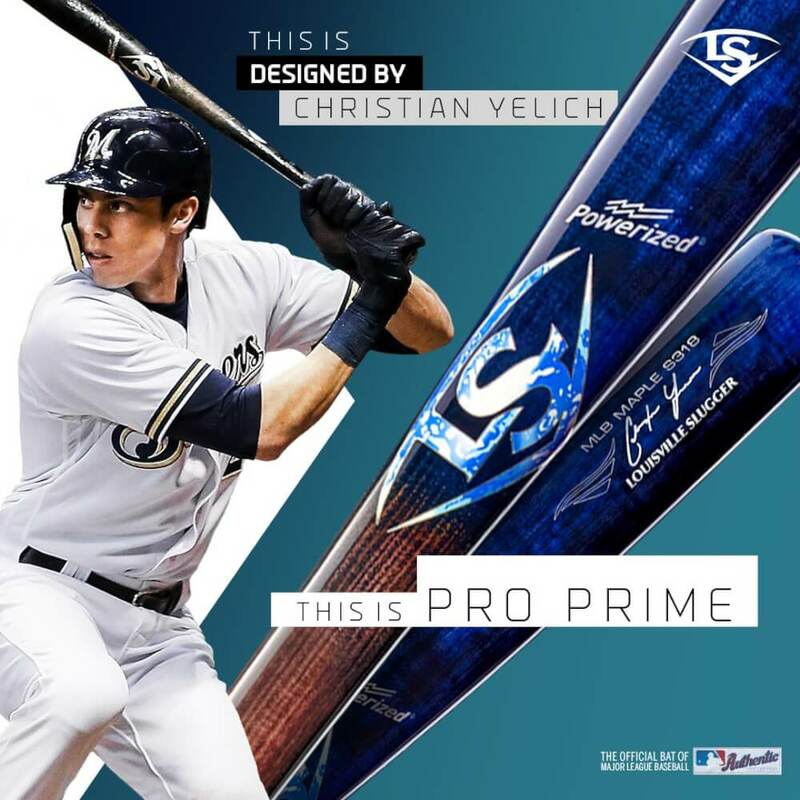 Louisville Slugger has launched reigning National League MVP Christian Yelich’s S318 player-inspired model as part of its Pro Prime collection to celebrate the new season. Designed during his visit to company headquarters during the offseason, the bat is a reflection of Yelich’s California roots. The S318 itself is an end loaded model featuring a medium barrel with a cupped end, a short transition to the handle, and a slight handle taper. Yeli swings a 34 inch, 31 ouncer, and the cup allows for a denser billet of wood to be used in construction. It’s perfect for guys who hit for power but get it done with bat control and swing efficiency as much as raw strength. The ocean is Yelich’s primary inspiration here, the barrel fading from a deep blue to a dark flamed handle emulating beach wood. The beach theme is completed by a lifeguard tower knob medallion inspired by Yelich’s favorite Zuma Beach in Malibu, near his hometown of Thousand Oaks, California and a wave pattern on the LS logo. The darkness of the two finishes looks awkward, but the bat has an overall playful feeling that brings California vibes to the diamond. The whole of Louisville’s Pro Prime bats share a couple features. These include a cupped ending designed to curb breakage, Louisville Slugger’s EXOPRO finish, which gives it a mirror like sheen and also enhances durability, and seamless decals, along with an MLB ink dot and a knob medallion detailing the exact specs of the bat. You can shop Yelich’s player-inspired model here and his game model here.